The institute’s academcians won seven gold medals, nine silver medals and one bronze medal. 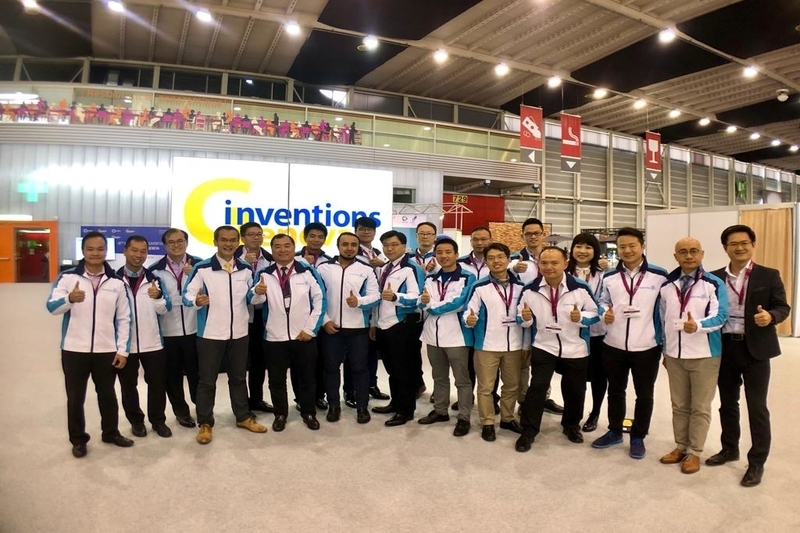 According to a recent press release, The Hong Kong Applied Science and Technology Research Institute (ASTRI) recently announced that at the International Exhibition of Inventions Geneva ASTRI won 21 awards. Their accolades include four Gold Medals with Congratulations of the Jury, seven Gold medals, nine Silver medals and one Bronze medal. The four ASTRI projects winning Gold Medals with Congratulations of the Jury are: Enhanced Mobile Edge Computing (MEC) with International Mobile Subscriber Identity (IMSI) Acquisition; Separator Coated with Self Shutdown Layer of High Porosity for Lithium Ion Battery; Compact Spectrometer Having Reflective Wedge Structure; and Medical Image Data Analytics Platform. ASTRI’s awards are among the awards won by the Hong Kong delegation of around 42 institutions and universities. This is a remarkable feat given that it is only the second time ASTRI has participated in this global event. The CEO of ASTRI stated that ASTRI is honoured and delighted to stand out among many world-class inventors and institutions with 21 prestigious awards. This recognition of ASTRI’s innovative endeavours once again demonstrates the institute’s R&D expertise and capability. While the city has increasingly embraced innovation and technology development in recent years, ASTRI continues to leverage its technical know-how to develop more applied solutions that benefit the public and the industries. The International Exhibition of Inventions of Geneva is acknowledged as the most prestigious and coveted event for inventors around the world. This year, around 1,000 new inventions and products have been showcased by more than 800 exhibitors from 40 countries and territories. Well over 31,000 visitors from all five continents made this the single largest innovation expo in the world. According to Hong Kong’s Smart City Blueprint, the HKSAR Government aims to develop new economic pillars by promoting R&D and re-industrialisation. This includes developing a plan for the setting up of key technology collaborative platforms and bring in internationally-renowned universities, research institutes and I&T companies. An example of this is ASTRI’s participation in the The International Exhibition of Inventions of Geneva, which is likely to help establish new partnerships and collaborative efforts with other countries and companies.